A massive tear is unusual in a young patient (under 60 years of age). They are much more common in older people. 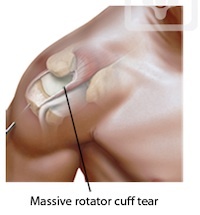 It is now recognised that massive tears occur in patients with rotator cuff degeneration and rotator cuff muscle failure (atrophy). The cause of this may be genetic or simply age-related or a combination of both. A minor fall or injury can lead to final failure of the cuff with extension of the tearing, such that the muscles cannot compensate for the failed tendons. This then leads to weakness and pain of the shoulder. This is often extremely disabling. significant loss of muscle bulk (atrophy) is also irreversible. 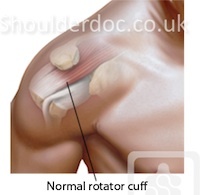 The nerve that powers the rotator cuff muscles (suprascapular) may be damaged, as it gets twisted as the muscles retract. This can also lead to more muscle atrophy and fatty infiltration. This means that even if the tendon can technically be fixed back in place by your surgeon, it may not heal or function. Deltoid rehabilitation programme - training the deltoid muscle to take over the functions of the failed rotator cuff muscles. We often combine this with a suprascapular nerve injection for pain relief. 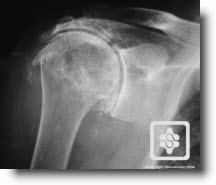 Muscle Transfer procedures - This surgery involves moving a strong muscle from it's original position to the shoulder joint to improve certain functions of the shoulder. This is only used in certain cases, mainly younger people who have demanding jobs. Inspace Balloon procedure - a new technique which has shown similar results to a debridement procedure. It may be better and equivalent to other techniques, but the research is early and developing. It is a very safe keyhole procedure with low risks. 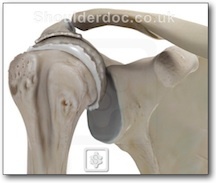 Arthroscopic Superior Capsular Reconstruction (SCR) - another new keyhole technique, similar to a cuff repair, but probably better for when the rotator cuff is too poor quality to repair. 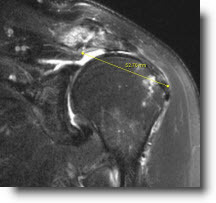 To determine the best treatment for each individual, adequate scans and a thorough examination by an experienced shoulder surgeon are required. The treatment options and results are dependent on many factors (some of which haven't been mentioned above, such as smoking, age, job, compliance with rehabilitation, experience of surgeon and therapist, facilities, etc. etc.). Whichever treatment is opted for results and goals should be realistic and recovery can be slow. Success rates average around 70-80% and it can take up to one year to fully achieve maximal recovery.